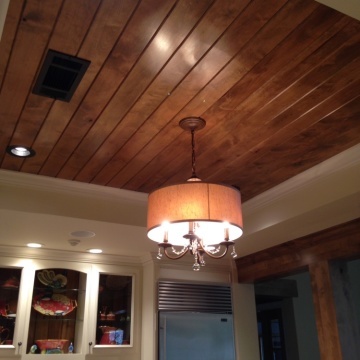 Webber Coleman Woodworks is a 25+ year old family business specializing in custom cabinetry for residential and commercial applications for Athens, Watkinsville, Lake Oconee. It is a fully custom shop from beginning to end, every part designed, cut out, constructed, and installed to fit the customer's personal needs. They didn't listen. The cabinet was about an inch and a half too high. It wouldn't go in the door. They had to take it apart to get it in the door, which I had to pay $75 for them to do that. The owner of the business was a little smug about talking to me and my business because I was acting as the general contractor. It was only a small bathroom and I had to hire a person and I had everybody else to do everything. I asked him a question about sheetrock and he said, "That's why you hire a general contractor like me." So, it just really put me off a bit and I just wouldn't recommend that experience to anyone. The cabinet is okay. It's a fine cabinet. It was made fine, but it's about an inch and a half higher than the specs they gave me and everything. Very satisfied. Trusted folks to be working in my house! It is extremely expensive and I would not want to refer a friend to such an expense. They were very clear the whole way through. They did exactly what they agreed to do. I was impressed with the installer of the cabinets. He was very good. The installer, Tom was excellent. Jessica was easy to work with. 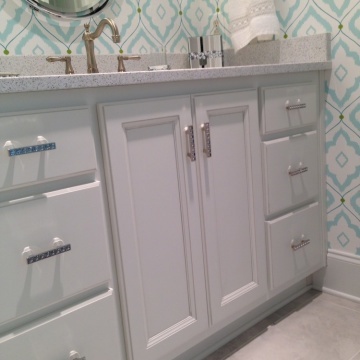 I really enjoyed the help I received with the layout and design of my cabinets. Webber Coleman Woodworks is very good at it. I am very happy and completely satisfied. I was most satisfied with the communication and the finish carpenter who came along and checked and made sure everything was great. He re-did an installation from a couple years ago because it wasn't to his standard. Cassi Young is who I would think to be interested in receiving information about their services. Jessica and her dad were wonderful. I think the carpenters name is Tom, he was just great so I would recognize all of them. I was very satisfied with the results. The decision making help was made by professional people and also how they operated on a very timely scale. I was most satisfied with the way everything turned out perfectly. Webber Coleman does an exceptional job-start to finish. Professional, communicative, and with unbeatable quality, I would not use anyone else!! I have used them numerous times and every time is more exceptional than the one before. Can't say enough great things about them!! I was satisfied that they were very helpful with making a plan for the design! I would like to recognize Jessica for her exceptional service! The bookshelf installation is just beautiful. It frames our existing windows perfectly. 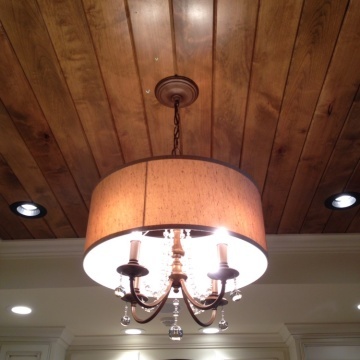 The measurements were very accurate and the structure is top quality. The bookshelf installer was on-time, very hardworking and very skillful. He arrived at the agreed time. He took care keeping the space orderly while he worked and it was very clean when he left. The other worker who enlarged the space above our refrigerator was likewise very skillful in removing the cabinet and retrofitting a shelf in that location. The design and structure of the bookshelf and the installers. Jessica was very helpful. The builders and installers were amazing. Wow! Webber Coleman works wonders. The installation crew cleaned up after themselves and were very meticulous. I would like to recognize Jessica. She was great to work with and very easy. Being new here, it was a great experience and happy with them. 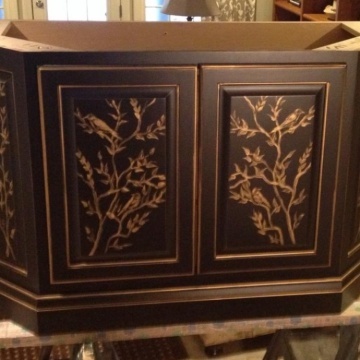 Wish they had done all of our kitchen cabinets. I could not have asked for better. We love the kitchen, and the bathroom too. Everything was just done perfectly. The communication was very good, and it came out just how I wanted. I was most satisfied in that I especially liked Jessica. She helped us pick everything out. Also, the man that put everything in was fantastic. His name was Tom, but really everybody was good. I would like to recognize Jessica for her exceptional service. She helped us pick everything out, and everything came out just like she said it would. I would also like to recognize Tom. He was the person that put the cabinets in, and he was fantastic. We were very very pleased with everything. I was most satisfied with the overall quality. The designs are what I need. I would like to recognize Shane, and the owners, Jessica and Dan, for their exceptional service. I would recommend them highly to anyone . 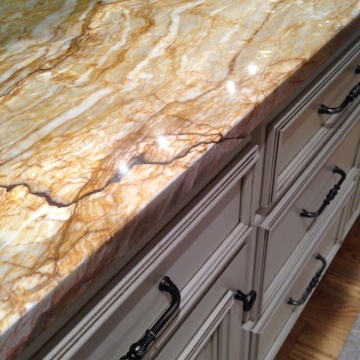 They use top quality materials and are highly skilled professional. They did a fantastic job! Everyone that comes to the house comments on our bathroom and kitchen! I was most satisfied with the total package! The quality is amazing! I would like to recognize my saleswoman, Jessica, for her exceptional service. I would like to say thank you to Webber Coleman Woodworks for a beautiful job well done! I will definitely be using them again for my next project. I can not in good conscience recommend WC given how I was treated on changes. 2 of the changes I made were partially- if not mostly - Webber Coleman issues and they took no responsibility and overcharged me. I wouldn’t want them to do this to anyone I knew. Also the response got abysmal after I was done paying but job wasn’t done. Very sad and stressful process for me. 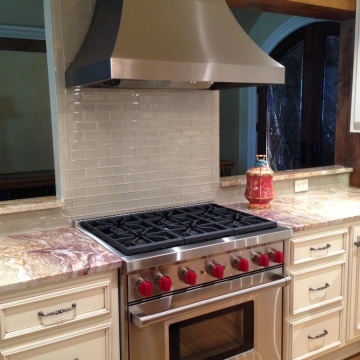 The quality of workmanship is excellent, and our installation professional was wonderful. 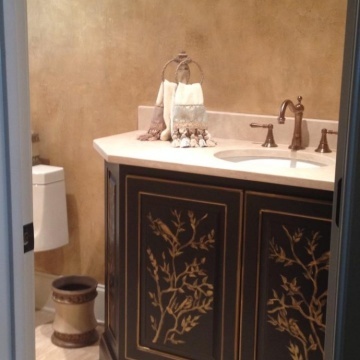 I'm so glad our contractor recommended Webber Coleman. I would definitely use them again. Everything is very professional, very organized and very customer oriented. Great company. 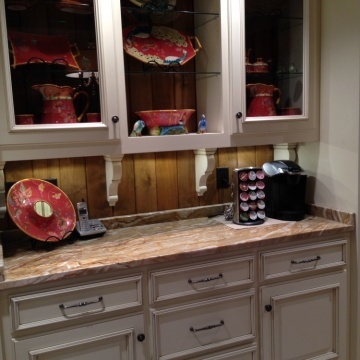 We love our cabinets, Jessica and everyone with Webber Coleman Woodworks did a great job. They did it so fast and took care of everything, it was great. We were really impressed and thankful that they did a really good job. Webber Coleman Woodworks did a quality job from the estimate to the install and we love our transformed bedroom. 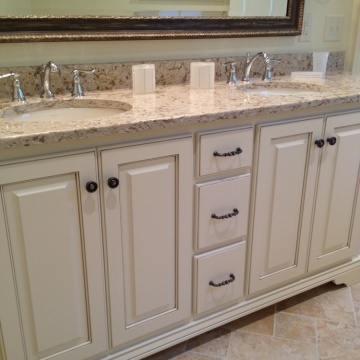 We chose a body alter glazed cabinet and it has exceeded our expectations. Jessica at Webber Coleman Woodworks was pleasant and professional. 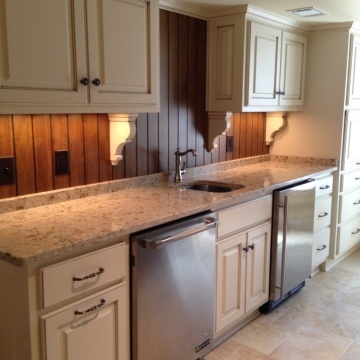 She always answered all of my questions and concerns quickly, and we love, love our cabinets! Webber Coleman was very efficient in quoting a price and worked with us to stay within our budget. 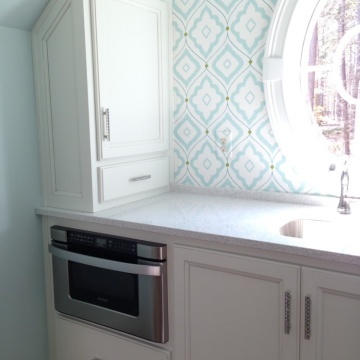 The cabinets look great, were delivered in a timely fashion, and were exactly as we ordered them. Wonderful quality craftsmanship. Choosing to work with Webber Coleman means you get a local company with a personal touch. 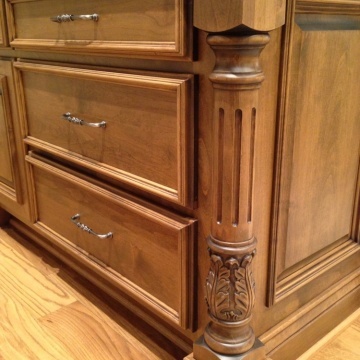 It is an investment but the quality is worth it as I know these cabinets will stand up and last.